What type of location is acceptable for placement of our cats? We look for a barn site where either someone lives or people come each day to care for the other animals (horses, cattle, goats, sheep, etc.). They can then feed and check on the cats. As well, we look for a barn that is away from any road or highway. The cats will roam and we do not want them run over by passing cars or trucks. It is always best if there is something for coyote control…Great Pyrenees dog, llama, or donkey. We have references for all three in the documentation that we leave with the barn owner. Then, all barns are not created equal: an older barn may be better than a newer barn. An older barn usually has more hiding places for the cats. 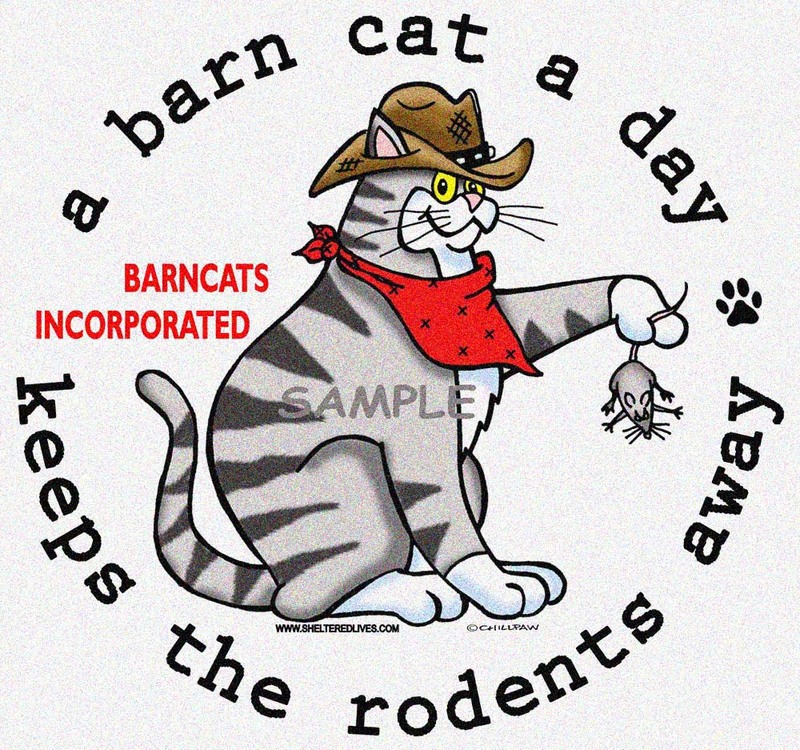 Also, the barn needs to be able to close up at night to protect the cats in the cage at night during the relocation period. Do you even place friendlier cats? What is the difference between a “feral” and “friendly” cat? If my location is outside your service area, how can I find some cats for my barn?